The mutineers came at night, silent and with determination. They had fixed their bayonets and had even brought forward a light machine gun. In silence they gathered near the officers’ quarters where their British officers were fast asleep. Suddenly a shout broke out in the distance and the men realized it was now or never. They aimed their rifles and the machine gun and unleashed a volley of bullets into the officer’s tents. Hearing the muffled cries of the officers inside, the mutineers quickly rushed into the tent bayoneting any of the officers who had survived the volley. Even then, one of their intended targets, though wounded, had escaped. Crawling and stumbling through the bushes, a young twenty-three-year-old lieutenant made his way to a nearby river. There he swam to a moored Allied boat where he raised the alarm that a mutiny had broken out in his unit, Dyer’s Battalion. Soon after this the young lieutenant succumbed to his wounds. Even though he was a British officer, the mutiny was not happening in a British army battalion – instead it was in a Russian one. The mutineers were Russians; the officers had been British. The year was 1919 and a rebellion had just broken out in one of the Slavo-British Legion’s battalions based in North Russia. In response to the call for help a nearby Australian unit reacted swiftly charging into the mutinous battalion’s trenches. They quickly discovered that many of the men had not mutinied but had simply run away. Furthermore, of the mutineers, many had defected, but around forty of them were left to surrender. Dozens of others lay dead. The final count missing in Dyer’s Battalion was one-hundred and ninety. All the mutineers who had escaped had ran to the nearby enemy lines. Dyer’s Battalion was supposed to be the elite unit of the Slavo-British Legion. Originally written off as an impending disaster, the founder and namesake, Lt. Royce Dyer, a Canadian, had worked hard to change the unit’s image. In return for his efforts the battalion had taken on his name and the men seemed to adore him. But less than six months later the unit had become mutinous. How could this bloody mutiny have happened? Lt. Dyer represents Canada’s involvement in the Russian Civil War. His efforts with the battalion he raised can be understood as an anecdote of the greater Canadian presence in North Russia. It was a place where success was not followed by victories but by defeat. And in this case, one Canadian made his mark on the entire North Russian Expedition. In 1918 Canadians were scattered across Russia. Beyond the Siberian Expeditionary Force based in Vladivostok, there was a contingent of Canadians in Omsk supporting the White Russian government which had set up their capital in that Siberian city, there were Canadian Air Corps men flying over the Black Sea on patrols and even a small force in Baku, located in present day Azerbaijan. One of the major groups of Canadians in Russia was the North Russian Expeditionary Force located at Murmask and Archangel. It was a multinational force made up of British, Canadians, Australians, French, Italians, Americans, Serbians, Finns and White Russians (a diverse group of anti-Bolshevik forces). The history of this Expeditionary Force starts with the Russian Revolution of 1917, closely followed by the Bolshevik seizure of power and eventual withdrawal of Russia from the war against Germany. The Allied powers were worried that Germany, which had recently sent 55,000 men to a newly independent Finland would attempt to take the vital Russian Ports of Archangel and Murmansk. Seeing this threat, Britain immediately dispatched 100 marines to Murmansk in April of 1918, and then a further force of 350 men in May, which included 16 Canadians. Given that the Russian Civil War could further destabilize Allied aims in the region and reinforced by a general fear of Bolshevism, the Allied Supreme War Council decided in June of 1918 to directly intervene in North Russia. Two Forces were drawn up to land in North Russia. The first group named SYREN was to take over security of Murmansk and help push back the advancing Bolsheviks. The second group name ELOPE was to land with SYREN but then head by land, south to Archangel and establish another defensive zone. Canada’s involvement with these two forces was accepted from the beginning. The British War Office asked for a Special Service Force of 100 men to be formed from the ranks of the Canadian Expeditionary Force in France. Not everyone was welcomed though, as several stipulations were added to whom may join. They had to have combat experience, a recipient of a commendation or medal for their actions to-date, unmarried and finally, have volunteered for the mission to Russia. 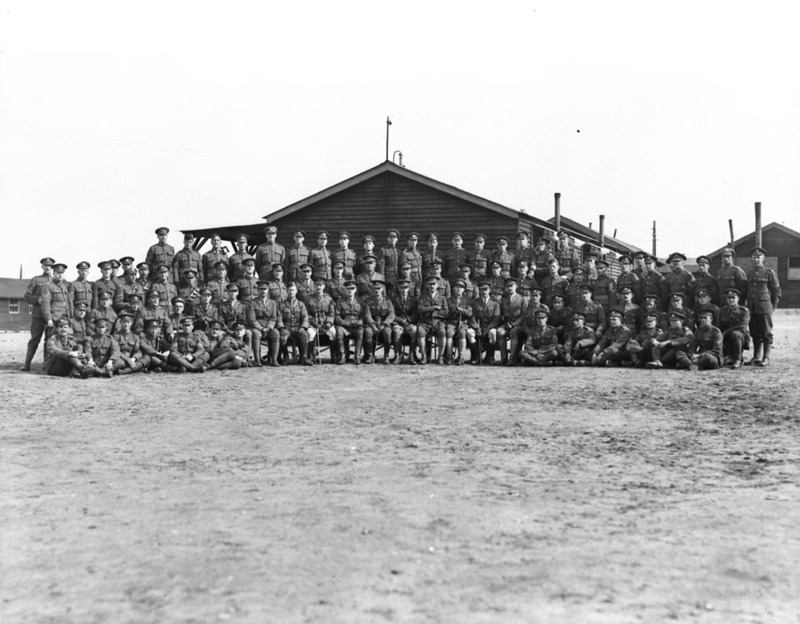 The Special Service Group arrived in early September of 1918. At the last moment a Canadian Field Artillery Brigade was attached to SYREN force. Unlike the Special Service Group, they had not volunteered for the mission at hand. Instead they had simply been ordered to North Russia. Their actions became somewhat legendary in the annals of British military history. In November they took up defensive positions around Dvina River and fought off a massive Bolshevik attack in which the Canadians briefly lost control of their field guns but then managed to rally and retake them, which had until that moment had been a feat that had only happened once before in British military history. Although the Canadian artillerymen remained as long as the Special Service Force, they were not involved in any of the training or raising of Russian Forces. 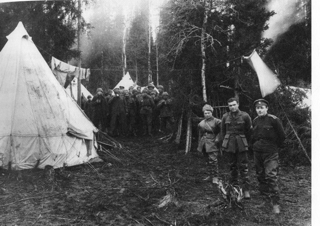 While the Canadian artillery brigade were fighting off Bolshevik attacks, the Special Service Force, which was attached to ELOPE force, attempted to set up a defensive position to the west of SYREN. One of the force’s members was 28-year-old Sergeant Royce Coleman Dyer. A man of average height sporting a shock of bright blond hair and fixating grey eyes, Dyer had been a prime candidate for the Special Service Force. He was born and raised in Sutton, Quebec, where he became a well-established and popular butcher before he enlisted with the Canadian Expeditionary Force in September of 1914. He was quickly attached to the 8th Overseas Battalion – the predecessor to the Winnipeg Rifles – and sailed to Britain in October of 1914 with the first contingent of Canadians. Dyer’s wartime record was marked with hospital stays and extreme actions of valour. Early on he was wounded by a gas attack at the 2nd Battle of Ypres. 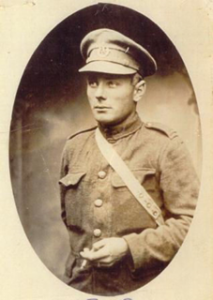 After being discharged from the hospital, Dyer rejoined the 8th and was awarded the Military Medal for gallantry at the battle of Mount Sorrel in June of 1916. Shortly after this he was awarded a bar for the Military Medal during the Somme where he was again wounded when he broke a rib during a seizure of an enemy trench. Rising in rank from private to Sergeant during this time he was frequently praised for his devotion to duty. His tour came to an end though when he was wounded for a third time in early 1918, due to a bullet to the torso. While recovering in England, he was approached about joining the Special Service Force. Sensing an adventure, he jumped at the opportunity. By the time Dyer arrived in Archangel with ELOPE force, the Russian Civil War was in full effect. Early on the Bolsheviks controlled much of the territory around Murmansk and Archangel. The first task for the North Russian Expeditionary Force was to form a defensive barrier around the two ports. In order to do this many of the surrounding villages and hills needed to be taken from the entrenched Bolsheviks. Dyer and the other men of the Special Service Force were tasked with taking the village of Oniga. Dyer marked himself in this action when he stormed several dug-in machine nests almost single handily carrying a lone Lewis machine gun. Impressed by Dyer’s actions, General Edmund Ironside, the Commanding General of the Expeditionary Force, awarded the sergeant the Distinguished Conduct Medal and a field promotion to Lieutenant. After capturing a series of good positions the North Russian Expeditionary Force settled into a defensive stance. The front line consisted of hundreds of strategic points – centred around high ground and villages – meant to hold the crucial port cities of Archangel and Murmansk, as the white forces of Admiral Kolcheck advanced westward and northward from Siberia. But the front was 400 miles in length and many of the sectors were undermanned with Allied units given massive sectors to defend. General Ironside knew that the only way his forces were going to be successful was if they could raise Russian units to fight against the Bolsheviks. General Edmund Ironside was a true imperial soldier. An immense man in size and personality, he had previously led campaigns and missions on behalf of the British Empire in Persia and Iraq. Yet it was in North Russia that he faced his most daunting task. Ironside held command over a multi-national force that disliked and distrusted each other. American soldiers thought the British to be “weedy and scrawny looking” and therefore only good for garrison duty. The British thought the French were a “band of strikers and shirker’s.” While the Russians hated every nationality of the expeditionary force equally. Compounding this lack of cohesion and local trust was the clear fact that Ironside needed the Russian population to join the Expedition. He needed to raise local units to fight the Bolsheviks. The reality was however, that many of the Russian men wanted no part of the British led expedition but he hoped men like Dyer might change this. Trevor Ford is a PhD Candidate at Wilfrid Laurier University. With help from the Social Sciences and Humanities Research Council of Canada (SSHRC) Joseph-Bombardier Research Scholarship and under the supervision of Dr. Mark Humphries, Trevor’s doctoral research covers the role of the Canadian military’s intelligence units and their domestic activities during the First World War. The reference to the mutiny of one of the Slavo-British Legion battalions states that a nearby Australian unit reacted swiftly. No Australian units served in North Russia although some discharged Australian Army soldiers, including two who would be awarded the Victoria Cross, did serve with British units. The only Australian Army fatality in North Russia was Captain Allan Brown, twice Mentioned in Despatches who was killed responding to a mutiny on 19 July 1919. The picture of officers and NCO’s/ That’s my Dad on the right end of the second row.